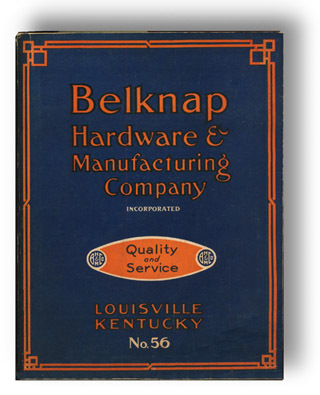 Founded 1840, Incorporated 1880, Belknap was at one time a leading American manufacturer of hardware goods and a major wholesale competitor of retail sales companies The company was founded and managed predominantly by members of the Belknap family and their chosen successors until its demise in 1986. Outsiders with self interests gained a foothold in the company and forced descions that did not benefit the company. 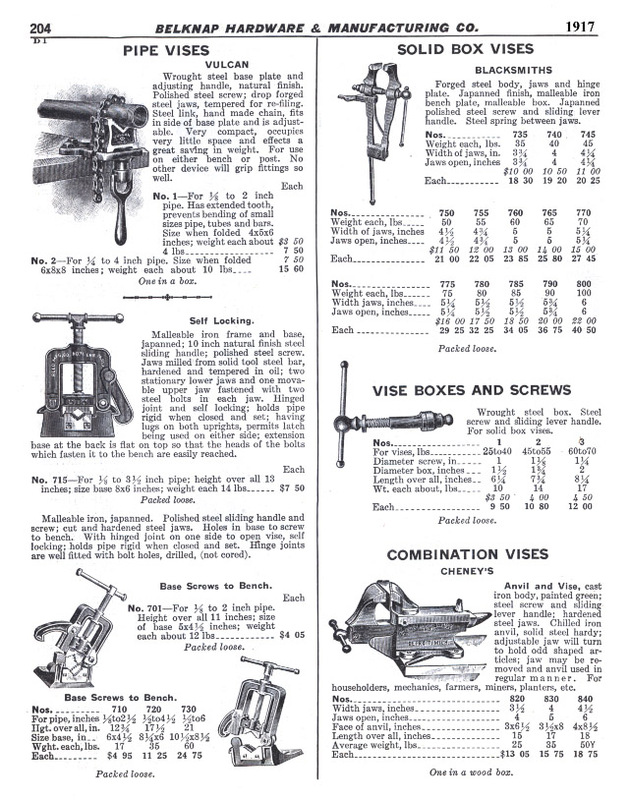 Belknap was one of those huge suppliers that many thousands of independent hardware, feed stores and general stores depended upon for most of their inventory. I remember many of the autoparts I purchased in the 1970's such as gasket sets and brake parts were manufactured by Belknap. 23 scanned pages, 5 with Vices. 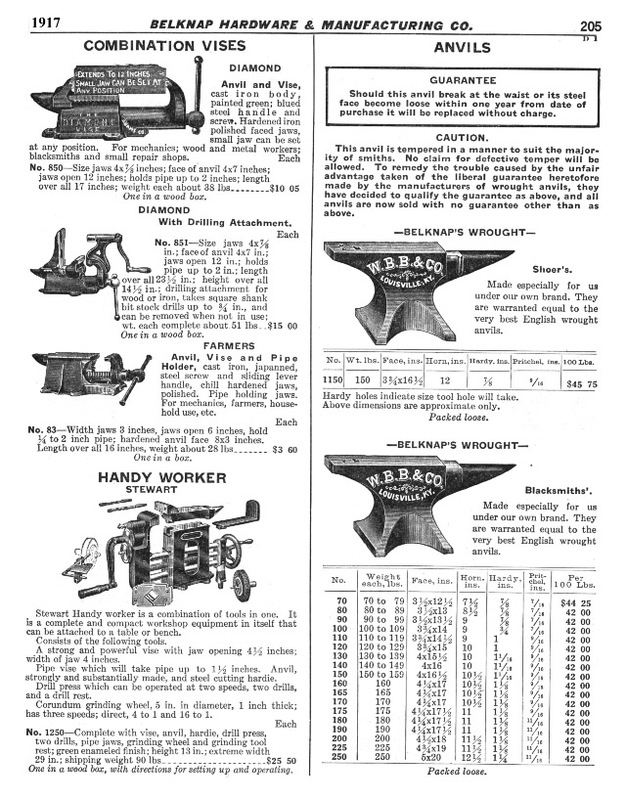 Belknap Pages I, Vises | Belknap Pages II, Anvils and Blacksmiths' Tools. 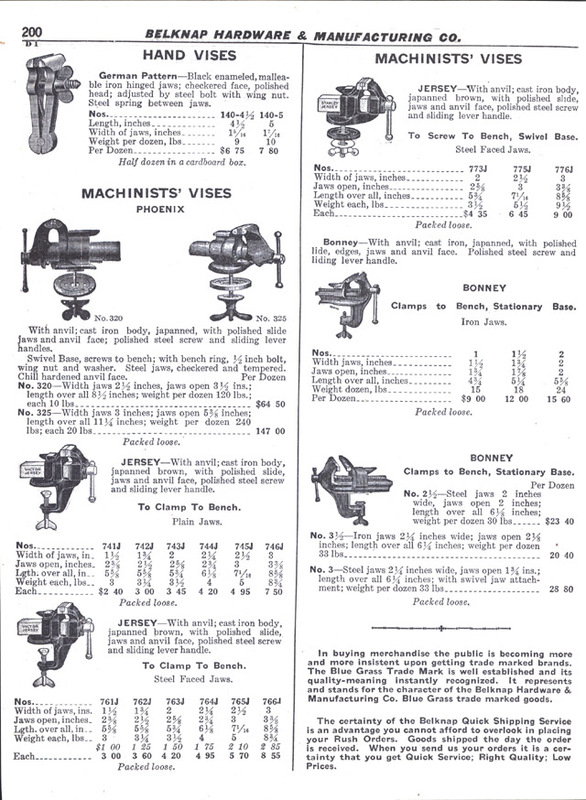 Page 200, Hand Vises, Phonix, Jersey and Bonney Bench Vises. 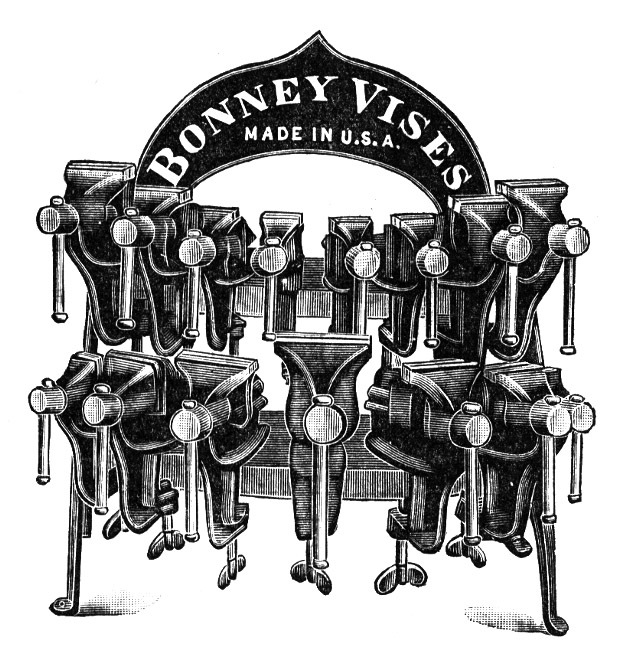 Page 201, Bonney Machinists' Vise Display, Prentiss Patent Swivel Jaw Vises. 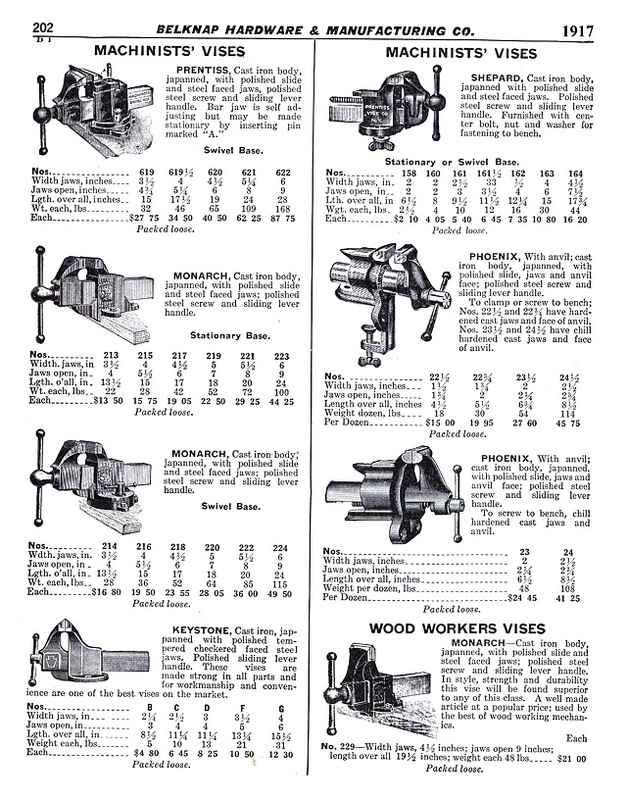 Page 202, Bench, Machinist and Woodworkers Vises. 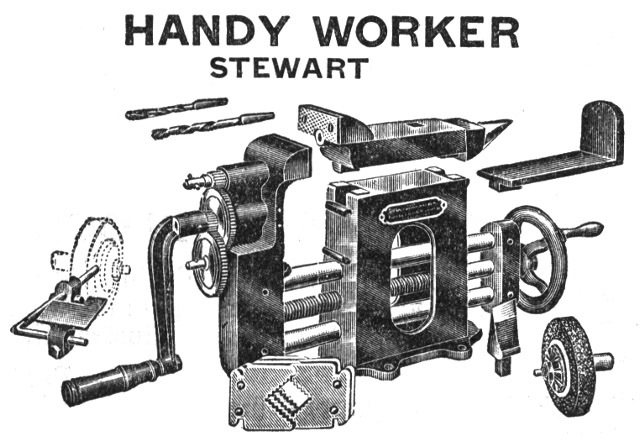 Page 205 detail, Stewart Combination Machine. 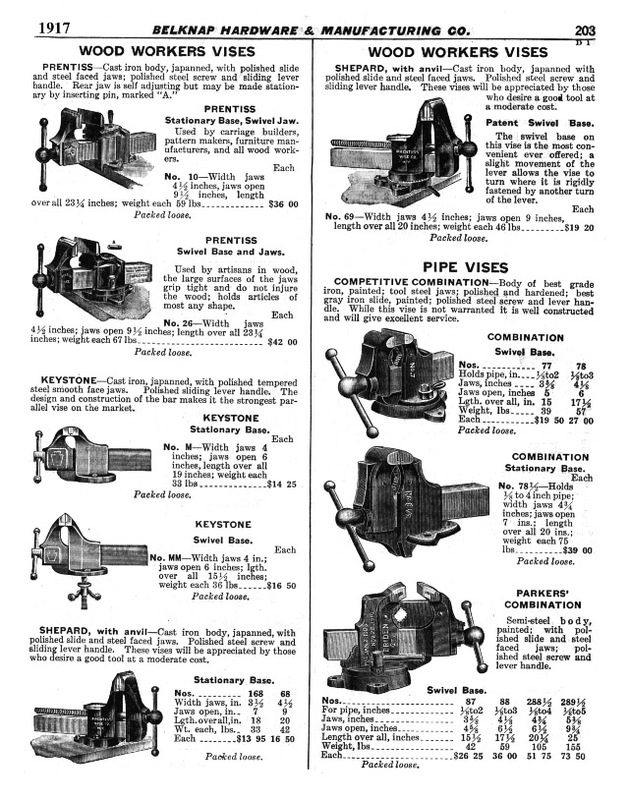 Its an anvil, vise, drill press, pipe vise, grinder, buffer with hardy and drill bits. 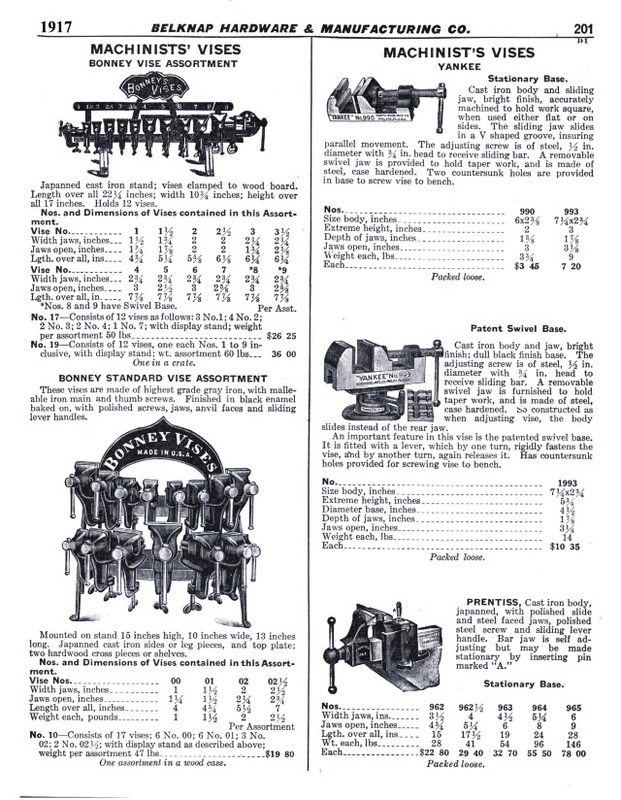 Combination machines were popular before and after the turn of the 20th century. They were never as good a individual tools and the loose pieces often lost. 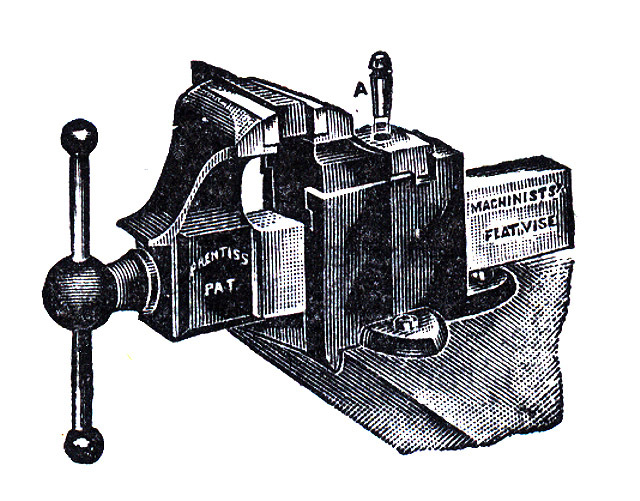 The piece that survives most often is the "anvil" as it is the most massive piece and has no mechanical complexity.